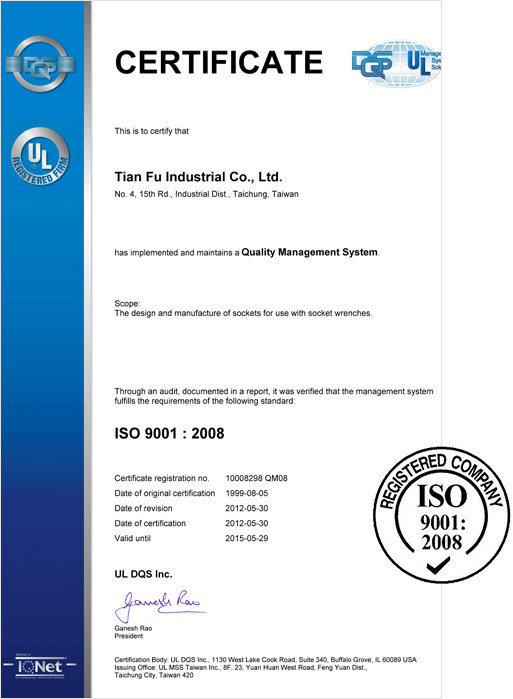 Genius Tools is proud to have its manufacturing facility, Tian Fu Industrial Co., Ltd., recertified by UL as being in compliance with ISO 9001:2008 which covers design, manufacturing, installation and servicing systems. This achievement validates our commitment not only to quality but also to customer satisfaction. Further clarifications regarding the scope of this certificate and the applicability of ISO 9001:2008 requirements may be obtained by consulting Underwriters Laboratories, Inc.